"The Indians have enjoyed previous encounters against RCB, winning 17-9 overall, and 8-2 over the last 10. At the Wankhede Stadium, the Indians have won the last three. The Mumbai Indians to win at [1.79] is the sensible way to go here." Mumbai are third on the table with four wins from seven games but lost on Saturday to Rajasthan Royals. That defeat ended a run of three victories. The Indians always seem to start slowly and come to the boil late. In that regard, they are ahead of schedule in their bid to win a fourth IPL trophy. That said, it's an important game for the Mahela Jayawardene coached franchise. They need to consolidate their place in the top four with a Wankhede win against RCB. There have been crumbs of comfort in the defeat against Kings XI. Skipper Rohit Sharma (47 from 32 balls) and Quinton de Kock (81 from 52) are shopwing signs of forging a strong opening partnership. Kieron Pollard is firing in the middle-order and the Pandya brothers are posting solid contributions with bat and ball. Suryakumar Yadav continues to disappoint, but as you will see, I'm not losing faith just yet. Bangalore had almost become unbackable after losing their first six IPL 2019 matches. But we are in new territory as RCB prepare for a game with a spring in their step. But one win, against Kings XI Punjab on Saturday, does not make them a good side. It may reignite confidence, but I have been critical of Virat Kohli as a captain for a few years. He's the best batsman in the world across all formats, but as a skipper he is too emotional, reactive and follows the ball with his field placings. Any side that contains Kohli and AB de Villiers can win T20 matches. These are two of the best players in the world and when they fire together they are unstoppable. They did that in their win over Kings XI as Kohli hit 67 from 53 balls and ABD belted 59 from 38. The chase of 174 was perfectly paced to win by eight wickets. The problem is that these two stars cannot shoulder the burden alone. Whilst there is a glimmer of hope for play-off qualification Kohli will keep banging his chest. Even if RCB win every remaining match they are not guaranteed of a play-off place. Only five sides (2009 Deccan Chargers, 2010 RCB and CSK, 2014 Mumbai Indians, 2018 Rajasthan Royals) have qualified with 14 points, the maximum RCB can achieve this season. They will be bolstered by the arrival of South African paceman Dale Steyn, who has pace, talent and vast experience. While there's life, there is hope, however small. How can you trust RCB? The Challengers may have won last time out, but if you are backing them against Mumbai you are too heavily reliant on Kohli and de Villiers. They are good men to have in your corner but they are also human beings, prone to the occasional failure. Backing a side that has lost six is seven games simply makes no betting sense. The Indians have enjoyed previous encounters against RCB, winning 17-9 overall, and 8-2 over the last 10. At the Wankhede Stadium, they have won the last three. The Mumbai Indians to win at [1.79] is the sensible way to go here. Suryakumar Yadav is not having the best run for Mumbai Indians but I am not turning my back on him yet. This is a case of taking the value in the market. 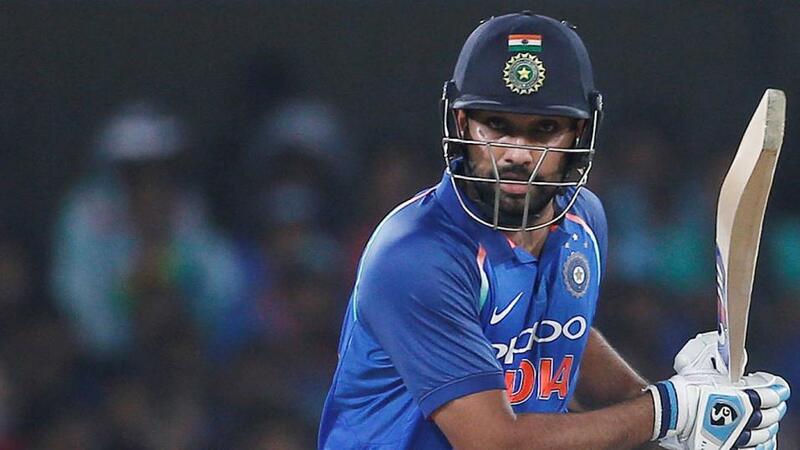 Obviously Rohit Sharma 11/5, Quinton de Kock 13/5 are more likely at the moment to succeed as they are showing better form, but Yadav was the top scorer for Mumbai last season and possesses too much quality to ignore. Yadav's price of 4/1 has been edged out and is now very tempting indeed. AB de Villiers commented after RCB's first win of IPL 2019 that he was looking forward to this game against Mumbai Indians as he loves batting at the Wankhede Stadium. Overall he has made 308 runs in 10 innings in Mumbai and has a colossal strike-rate of 185.54 at the venue. I can't go beyond Virat Kohli and ABD in this market and with the South African priced at the longer 3/1 he's the man I'm backing. This is a market I love. It gives decent prices and a bet that last the full duration of the game. Insert you own players here, but my half-stakes punts in this game go with Kieron Pollard and Suryakumar Yadav, both at 14/1. The Wankede has provided some decent battings strips this season and I am also repeating an unsuccessful bet from the last game there, for a century to be scored in the game at 15/2. There is every chance.